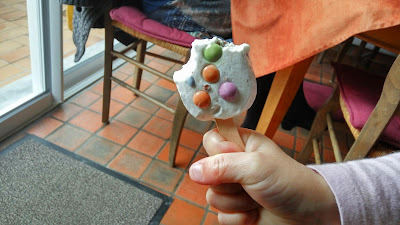 A Malaysian in France: Ice cream "man"
I have always wanted to find a group of moms to teach the young kids Chinese together. We started it several months ago, my goal was to expose her to some Chinese while playing and singing and laughing. 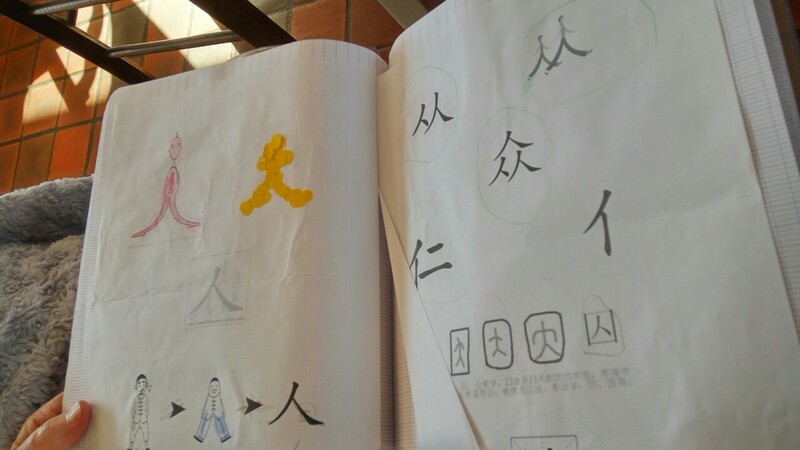 My friend was more strict and she wanted the kids to learn the Chinese characters. She started with the word "人" (human in Chinese), and the kids tried to remember the character by putting stickers on it. I didn't know she remembers it until one day during bedtime story, she pointed at the character and told me it was "人". Since then she was able to recognize it. One day, while eating ice cream, she pointed at the candies and told everyone that it has a human on it. I looked at it and understood that she referred to "人". It just made my day. It makes me feel that it worth sacrificing the Saturday sleeps in and sending her to classes, and she is progressing. Slowly, but still, progressing. I'm not at the learning Chinese ideograms stage yet... although I did show him the numbers.